Each week, Charity Navigator features a handful of charities working in one of the 50 states. 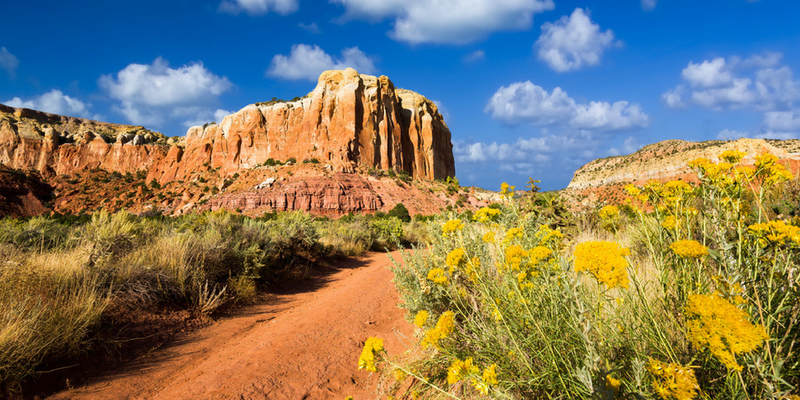 Today we’re talking about New Mexico a few of the outstanding organization making a difference in communities around the Land of Enchantment. The New Mexico Wilderness Alliance is a grassroots nonprofit dedicated to the protection, restoration, and continued enjoyment of New Mexico’s wildlands and wilderness areas. Founded in 1997, they achieve their mission through administrative protection, federal wilderness designation, and ongoing stewardship. Their membership includes New Mexico residents from all corners of the state, as well as individuals across the country. They are the only wilderness group in New Mexico with a record of building diverse coalitions to protect public lands and affect real change. NDI New Mexico was founded with the knowledge that the arts have a unique power to engage and motivate children. Their programs are designed to help children develop discipline, a standard of excellence, and a belief in themselves that will carry over into all aspects of their lives. Their work is guided by their belief in children, as well as a commitment to social responsibility, excellence, sustainability and financial integrity. The vision of the Food Depot is healthy, hunger-free communities in Northern New Mexico. They work toward that vision by engaging a network of partners to develop solutions to create a hunger-free New Mexico. They work local partners to rescue food and provide healthy, nutritional options to hungry children, adults, and families. Food that’s not suitable for people is shared with local hog, chicken, and composting farms so that nothing goes to waste. Animal Humane New Mexico is the state’s leading private animal welfare organization serving cats, dogs, and their families. The organization partners with shelters across the state to rescue homeless pets and achieve their mission through sheltering, adoptions, humane education and veterinary services. As a member of ACCION’s nationwide network, ACCION New Mexico is an award-winning nonprofit organization dedicated to providing the tools entrepreneurs need to start, grow, or operate their business. They offer a community of support and are dedicated to increasing access to business credit, making loans and providing support to help entrepreneurs realize their dreams. You can use Charity Navigator’s Advanced Search Tool and Discover feature to find even more highly-rated charities working in communities around New Mexico.